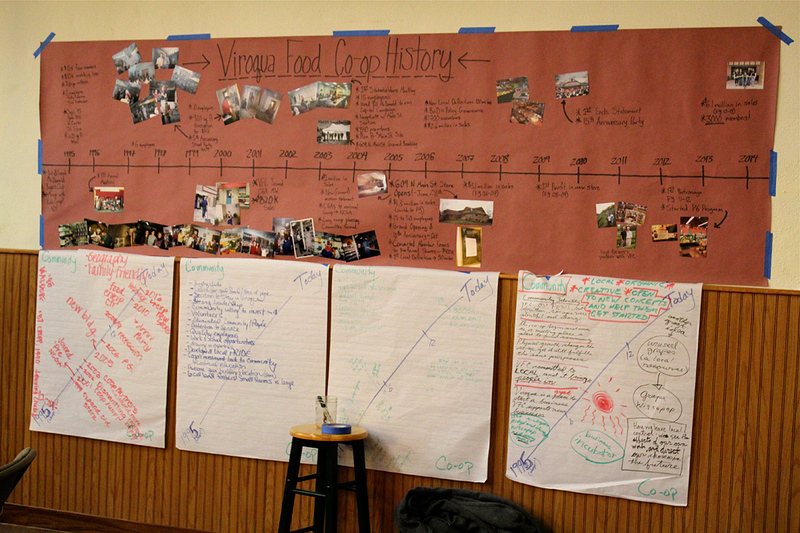 Owners, Board & Staff Members discuss the past, present and future of the Viroqua Food Cooperative. 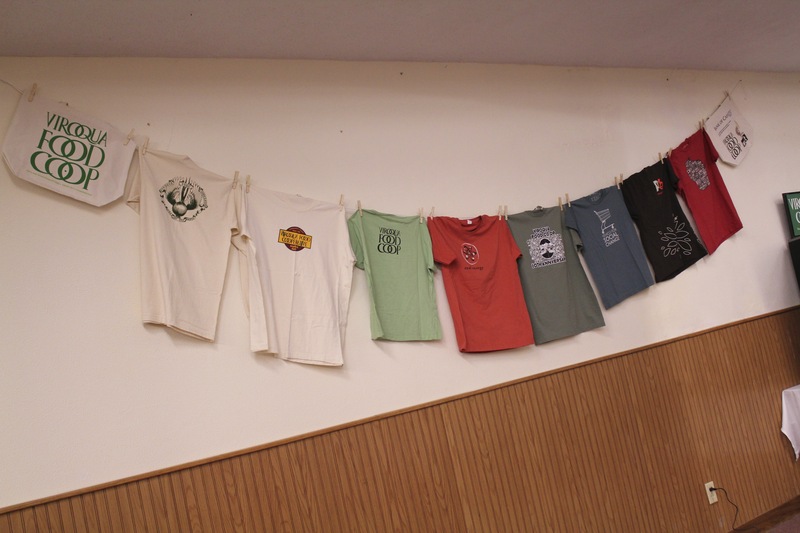 On display at the community conversation, were relics from VFC's history, such as these tees. Starting the conversation in small groups. There were three rounds of lively discussion. In each round we divided into three groups, mixing and changing it up for each round. The first round reflected on the Co-op’s past 18 year history since its founding in 1996. Important dates from our beginning in 1996 to the present. What if there were no VFC? What holes would exist in our community? And why does it matter? The second round celebrated where we are and who we are today. 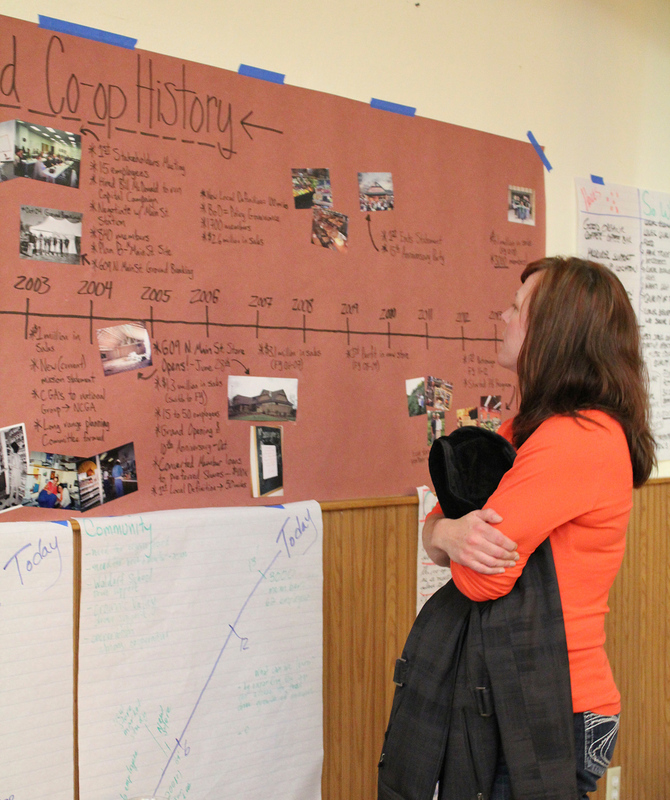 Emily Rozeske, Executive Director of the Viroqua Chamber Main Street, takes a closer look at the VFC timeline. Participants share their "Wow!" and "I wonder..." moments from the day. 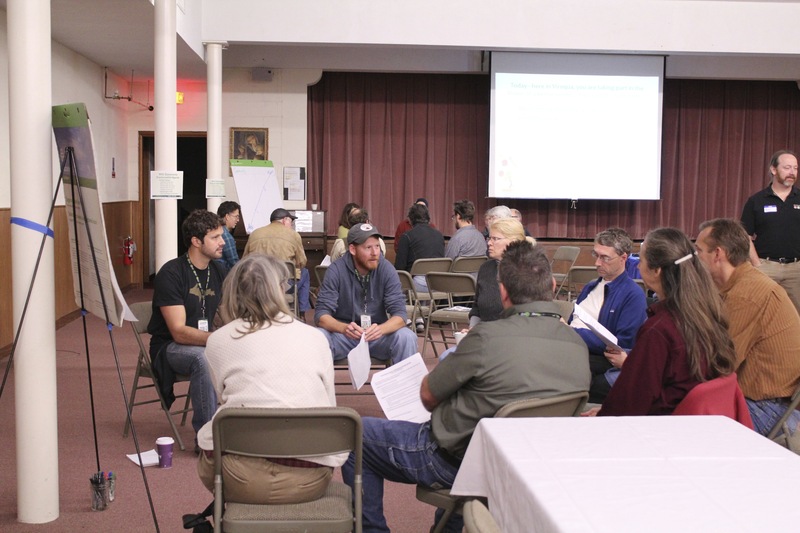 Viroqua Food Co-op’s purpose is built around our shared values and needs, and is expressed in our Mission Statement and Ends Policies. Like all cooperatives, we are a democratic organization. Co-op owners elect a Board of Directors from the owner-membership base, which then holds fiduciary responsibility and keeps the lines of communication open with the owners. But how does the VFC Board of Directors keep a strong connection to thousands of owners? With low attendance at the Annual Owners Meetings in years past, we were concerned that our link with owners was not strong enough to represent a vision of the future. So in the past year and a half, we worked on creating diverse occasions for VFC owners to connect with us. We held several Coffee with the Board events in the winter months, made sure we were present and identified at in-house Co-op events, held a Listening Session at the Driftless Cafe, held an Occupy Your Co-op event in the parking lot, conducted an Owner Survey, and on October 19, 2013 we hosted a Community Conversation event for Co-op stakeholders. We invited a cross section of 125 owners: top shoppers, both long-time and new owners, local growers, random owners and community supporters. We invited management team members, a staff person from each department, and held 10 seats open for those who really wanted to participate but didn’t land on the invitation list. 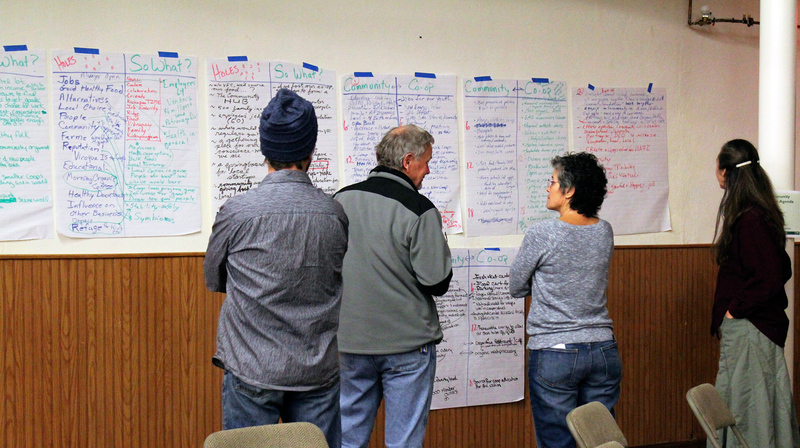 The goal of the meeting was to identify common values and beliefs, needs and concerns, and to provide input on the next “big direction” for the VFC. 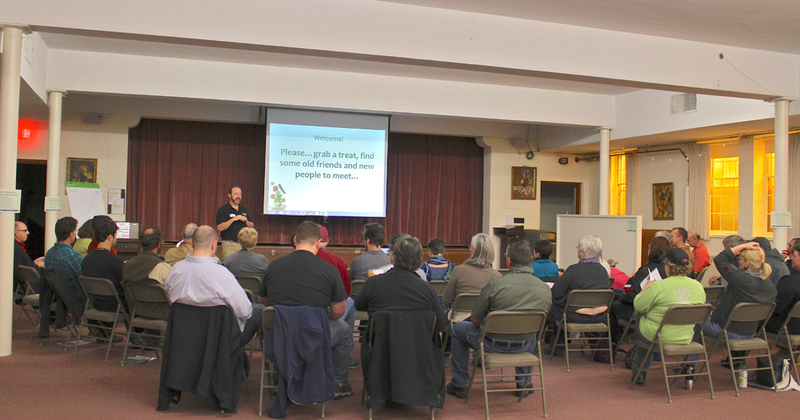 Forty-two owners responded to our invitation and gathered for the Community Conversation in the community room of Good Shepherd Lutheran Church, with facilitator Art Sherwood of Cooperative Development Services (CDS). There were three rounds of lively discussion. In each round we divided into three groups, mixing and changing it up for each round. The first round reflected on the Co-op’s past 18 year history since its founding in 1995. Round three empowered us to envision VFC’s future in the next 18 years and to identify our connection with the larger community. 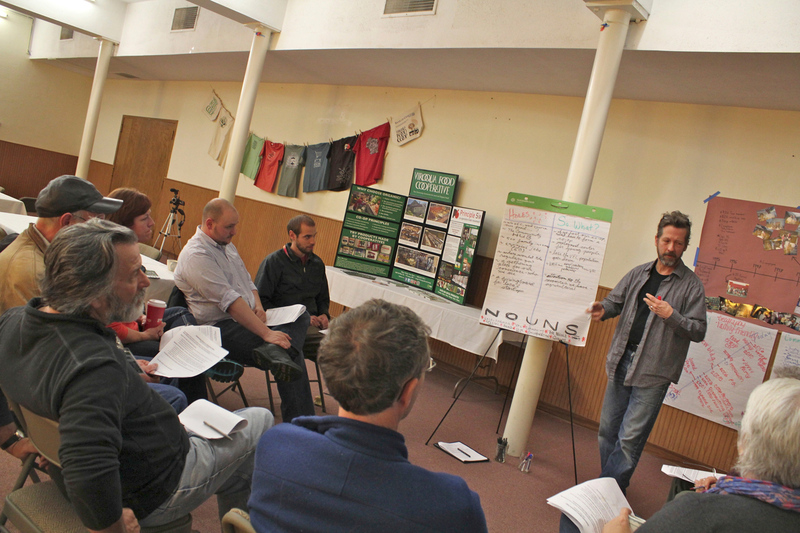 To finish, we gathered as one group to look at our parallel thoughts and brilliant ideas for the future of VFC! The worksheet, discussion points, stakeholder comments and future board events are posted here. Special thanks to Board Member and new VP Leslie Kruempel for assisting with the update of the Board page. Just another part of the Board’s work to link with VFC owners! So where is the next big direction taking us? 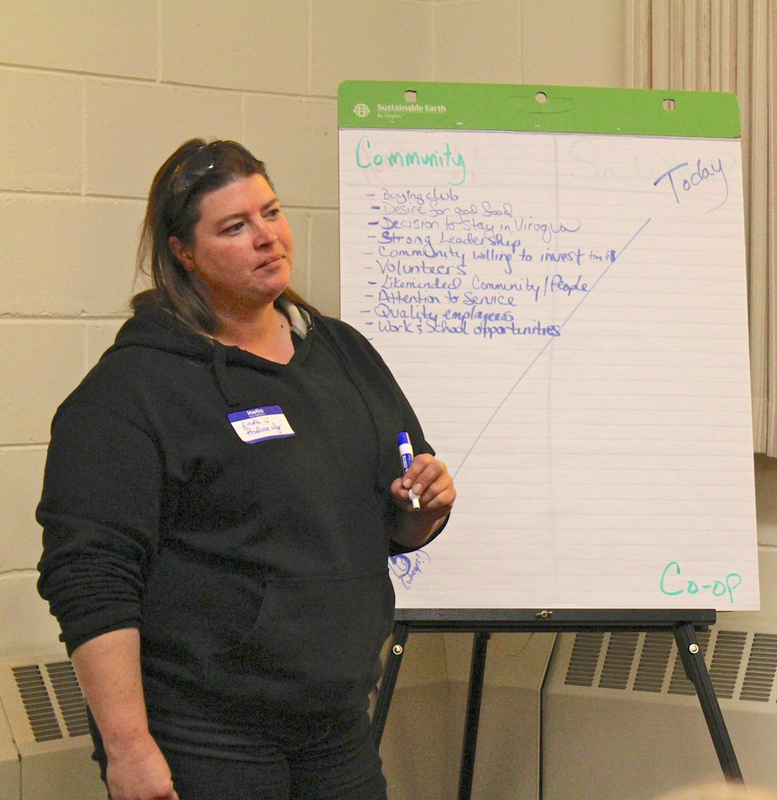 What IS next for the Viroqua Food Co-op? We are still in the process of creating that together. Art Sherwood returns to Viroqua in January to work with the management team and Board. Our job is to align what you, our owners, are communicating to us with the VFC Mission and Ends Policy to build a fiscally responsible plan. 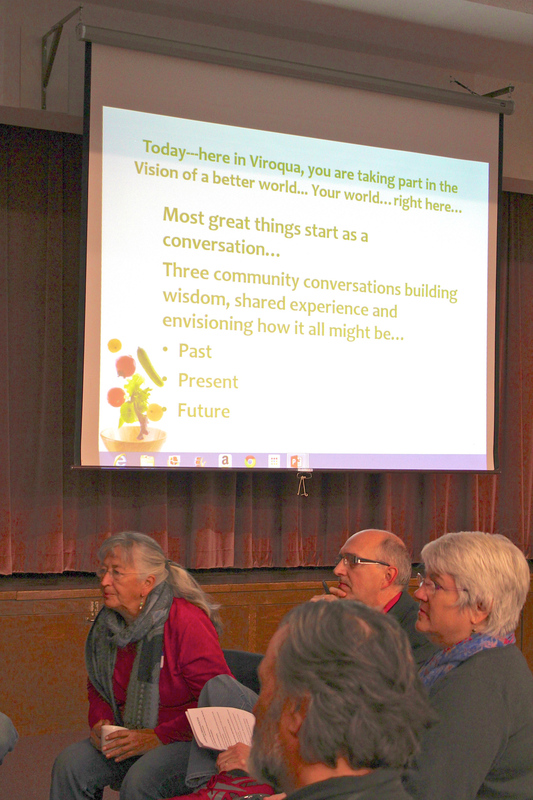 Watch for more news in the next Pea Soup and on our website to hear what is next for the Viroqua Food Cooperative. VFC Owners are the foundation of the Co-op. You participate equitably by purchasing owner shares, patronizing the Co-op and sharing in the responsibility of investing in our growing business. The Board relies on your feedback to accurately represent you. 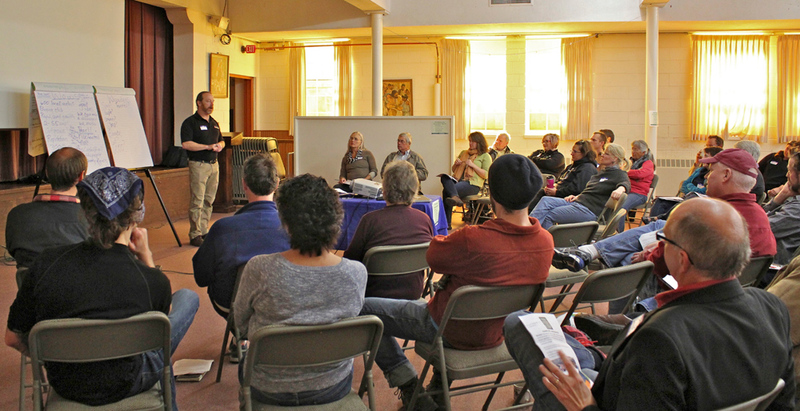 If you couldn’t attend the Community Conversation, I encourage you to e-mail your thoughts and comments about the future of VFC to the Board’s e-mail address: vfcbod@viroquafood.coop or attend one of our upcoming Coffee with the Board listening sessions on Saturday, January 18, from 9-11am or Saturday, February 8, from 9-11am in the VFC deli seating area. To all of those who attended the Community Conversation, I want to extend a big Thank You for making it a memorable and successful event! discussion points and stakeholder comments, click here. 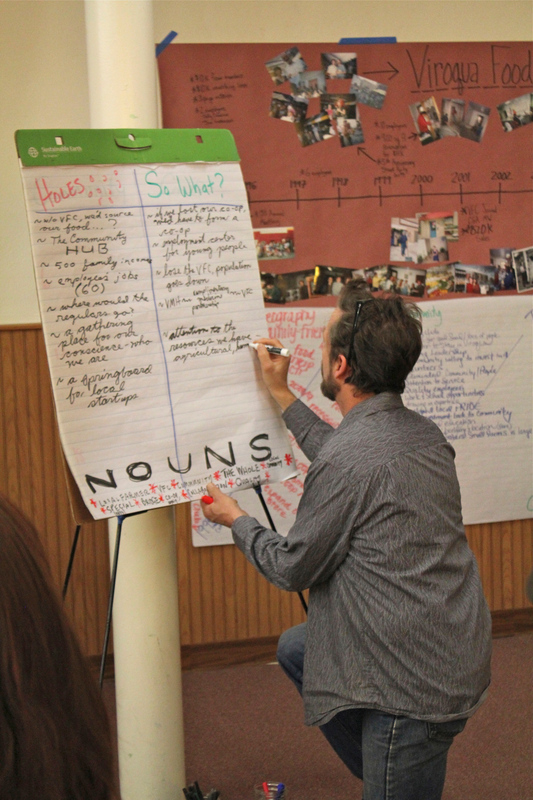 To view more photos from the community conversation, click here. For future board events that continue the conversation about VFC's future direction, click here.